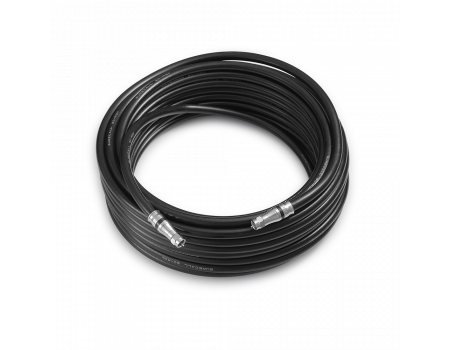 Premium low loss RG-11 cable from SureCall that provides less signal loss than RG6 over the same distance. If you need to make longer cable runs with your 75 ohm signal booster or have less signal loss for the same length of cable, then upgrading from the included RG6 cables to RG-11 from SureCall is going to be the solution for you. The signal loss is around -3.9 dB on the low frequencies, -6.36 dB on the high frequencies for distances of 100 ft. These cables are black, 75 ohm, with F-Male ends on both sides. Choose from either 50 or 100 ft. Please Note: All cable has some signal loss, so the longer the cable, the more signal loss you'll experience. 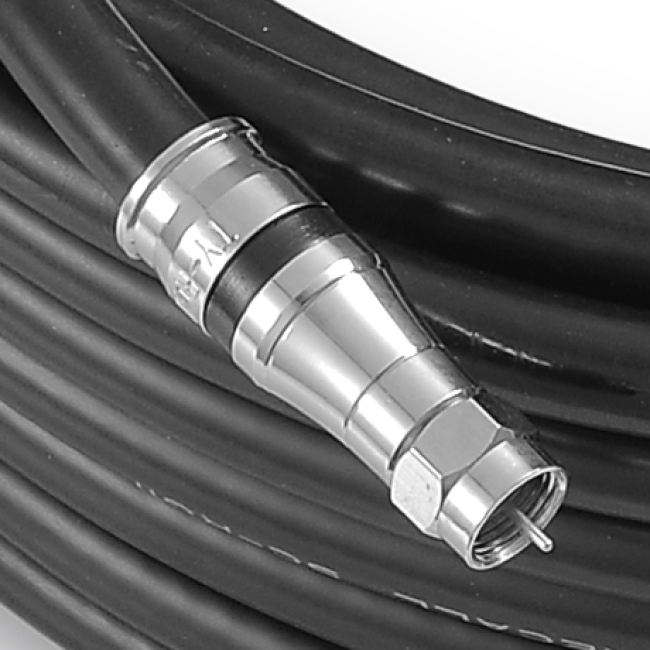 If you have a weak existing outside signal and you’re using this cable to connect the outside antenna to the amplifier, we highly recommend using the 50 ft RG-11 cable to maximize your inside coverage. 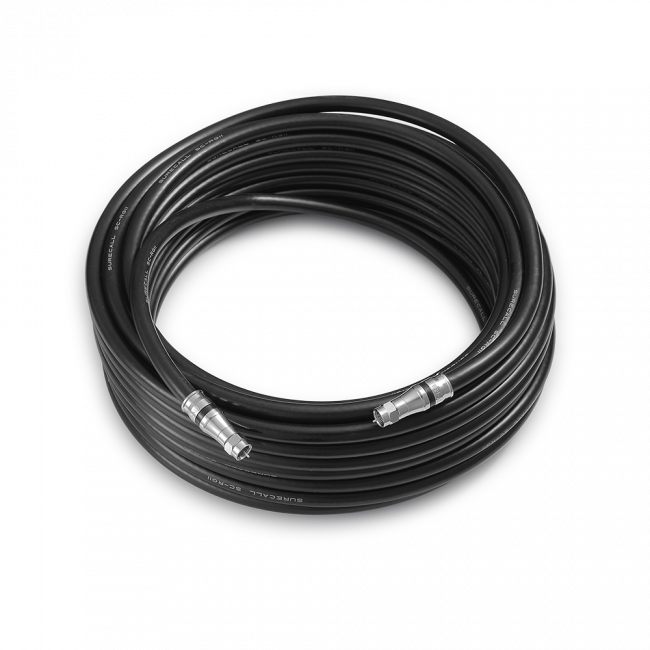 If you require a longer cable, the 100 ft may work, but the additional signal loss will impact the amount of coverage that the booster can provide. Please contact us if you have questions about your specific situation.